BASE Jumping is an acronym derived from "B" for building, "A" for antennae or television tower, "S" for span or bridge, and "E" for earth (cliff or mountain). BASE jumpers throw themselves off buildings and cliffs, opening a safety parachute only at the last minute. Such jumps are illegal in most countries. Felix belongs to the elite group of BASE jumpers who have absolved jumps from all four obstacles in the discipline. In 1999 he set two records that are still valid. He leapt off the 88-storey Petronas Towers in Kuala Lumpur for the highest ever BASE jump (451 meters), and then from the hand of the Jesus statue in Rio de Janeiro for the lowest ever BASE jump (just 29 meters!). In 2003 Felix jumped out of aircraft at 9,000 meters over Dover, England and with a high-tech carbon wing strapped to his back. He "flew" across the English Channel to Calais, France. The freefall journey lasted 14 minutes. 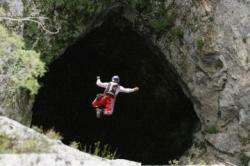 Felix's friend and tutor, Tracy Walker, has been BASE jumping since 1988. 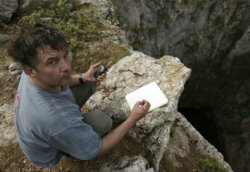 He came to Germany in 1994 and was, at the time, the most experienced BASE jumper here. Tracy was working at a parachute shop when his boss first introduced him to Felix. Since then the two have travelled all over the world to perform stunts sponsored by Redbull. On 10th September 2004 the two of them were in Panama where Felix jumped off the "Puente de las Americas". This is the 108 meter high bridge which connects the the North and South American continents across the Panama canal. As I was marking the reference point for the boat position on my GPS in the early morning twilight whilst under the "Puente De Las Americas" bridge, The Panama Canal Guard boat hailed us with a Flashing blue lights, bullhorn and AK47 Machine guns. it seems we had overlooked something. The exit part of Plan B went off without a hitch, as well as the landing. But then our biggest problem came speeding back along the water. It seemed our friends had been watching and waiting. Five guards with machine guns captured Felix and 2 photographers promptly. We're thinking, "Unfortunate, but hey, this crap happens. Trespassing charges. No big deal." Wrong! My translator calls me and tells me to move to another hotel immediately, or I might get nabbed. Federal agents are looking for any evidence of the jump  film, maps, GPS, videos, accomplices  to confiscate and possibly use for the trial or keep from the media. My new room is on the top floor, overlooking a big parking lot, 100 meters over downtown Panama City. The unlocked exit door to the roof is adjacent. I am packed for a low freefall. Life goes on. I get a call from Red Bull Panama, They ask me to not jump the hotel, I lie and tell them that I don't even have a parachute, to relax them. Sataited, they relax. I gear up and move in the night to the roof, I find a ledge 5m from the roof where the winds are in a more favorable direction. The winds are too strong at the moment so I take a nap fully geared up. Felix, who has been released on bond finds me on the ledge. He sees me from the roof and thinks I jumped from there and didn't clear the ledge and am injured or dead. He wakes me asking me where I am hurt, at first I have no clue what he's talking about. Then we click on the situation and laugh hysterically for the next 5 minutes. Dang, it's still too windy. Monday at court will be different. I suspect they will confront me on my way out of the country at the airport but it doesn't happen. Felix is still being refused to exit Panama. Tomorrow is a normal workday in Munich for me. As it turned out, Felix and co were released after six days. The authorities kept the video and film from the decoy team but the real crew escaped and quickly went public with the material. The next stunt took place 20th October 2004. This time Felix and Tracy, together with a crew of 40 other technicians and support staff, were off to the 650-foot deep Mamet Cave in Croatia. This was the most challenging jump that Felix had ever performed, but he carried it through almost flawlessly. One tricky moment was when the canopy deployed in the wrong direction by 90 degrees. This was quickly corrected by Felix in a manouver which astounded many veterans of the sport. The only other slight mishap was that the parachute was burned slightly when it fell onto the candles which had been laid to mark out the landing spot. 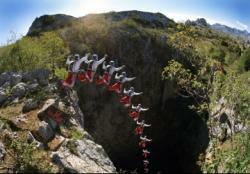 Fancy trying your own luck at BASE jumping? Well, unfortunately the opportunities in and around Munich are not good. Because it is such an extremely dangerous sport, BASE has not established itself in the mainstream the way, say, snowboarding and kitesurfing have. BASE is mostly a secretive culture around these parts and jump sites are hard to come by. Per se, it is not illegal to jump in Germany, though a permit is required for the exit point and landing zone. There were legal skyscraper jumps at the "Wolkencratzer Tag" in Frankfurt a few years ago, for example. There are very few BASE instructors or schools in the world, nevermind Munich. But basically you need to take up skydiving first and then after reaching a certain performance level you can take an intro into BASE. There are two "airsports" companies based in Munich. These are Fly for Fun at Corneliusstrasse 6 and Exit GmbH at Elsässerstrasse 19. Both offer parachute jumps, but of course neither mentions BASE jumping. As an example of how dangerous BASE can be, take the example of Miko, the 32 year old medical student from Graz, Austria. On 19th October 2003 he and a friend travelled to Munich to BASE jump from the then still unfinished Uptown Tower on Georg-Brauchle-Ring in Moosach. In the middle of the night they climbed to the 146 meter tower and then jumped out of the 35th floor. The parachute twisted on opening and he was blown into the side of the building. This happened within seconds, but for Miko it seemed like an eternity. He thought to himself, "ok, so this is it. Life's over for me". Luckily for him, however, his tangled parachute snagged on a crane and he was held dangling 45 meters from the ground. After an hour of hanging in sub-zero temperatures a firecrew managed to lower him to safety. He was immediately arrested and charged with contraventions of aviation law and for breaking and entering a building. Nice story - great pictures! can you please send me a picture of Felix on the Jesus statue. This is a great shot and I would appreciate it, thankyou. dude you guys are nutts. 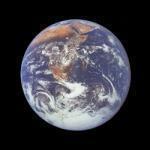 i just wanted to say that i think you are unbelivable and i wish somday i could do that. Hay i love the sport well more of the idea of it. I cant wait to try this when i am older have there been many deaths in the sport and how much to start up with the sport if you could reply to my email adress that would be great Cheers! Here's a clip of Tracy doing a jump. "To fear death is to fear chicken, cause death tastes like chicken." I know u? U know me? :O! You guys are total legends! I wish I could get into the sport and hopefully one day I will be able to! 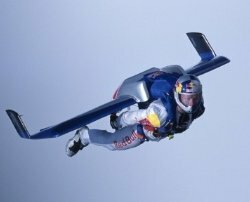 I'm only 16 and to become a world famous base jumper like Felix is my dream. 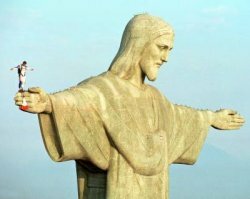 I'm going on holiday to Rio de Janeiro next year and it's going to be hard to reisit climbing to the top of Jesus' hand with a bin bag and jumping! Ok Ok I know Tracy and just wanted to say HI bro! this page rocks, good effort! how did he get on that jesus statue!!?? very very very impressed, you guys rock.